Do we really have to? I can’t decide. 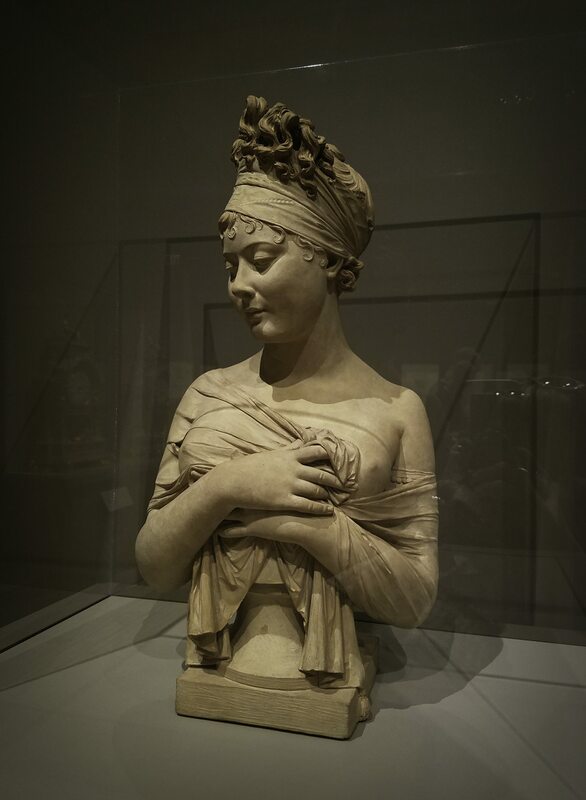 Juliette Récamier (French, 1777-1849) was a socialite renowned for her literary circle, but perhaps even more for her beauty. At age fifteen, she married Jacques-Rose Récamier, a banker, thirty years her senior – and her mother’s longstanding lover. Rumor had it that Récamier was, in fact, her natural father and they got married so that she would become his heir(!) Apparently, the marriage was never consummated. Prince Lucien Bonaparte, Napoleon’s brother, courted her; Prince Augustus of Prussia proposed but she refused to divorce her husband/father; the French Romantic writer François-René de Chateaubriand was a constant visitor of her salon. 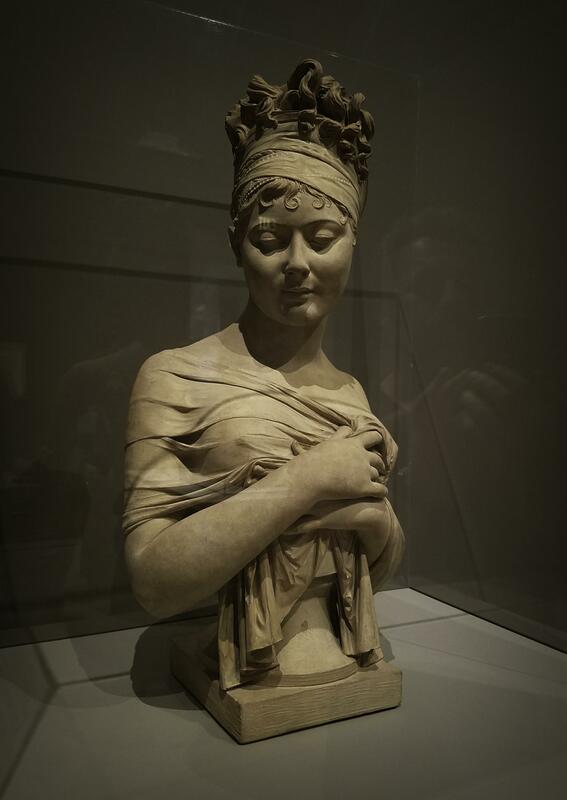 The courtship never seized; despite advanced age, ill-health and reduced circumstances having lost most of her fortune, Juliette remained as charming as ever. 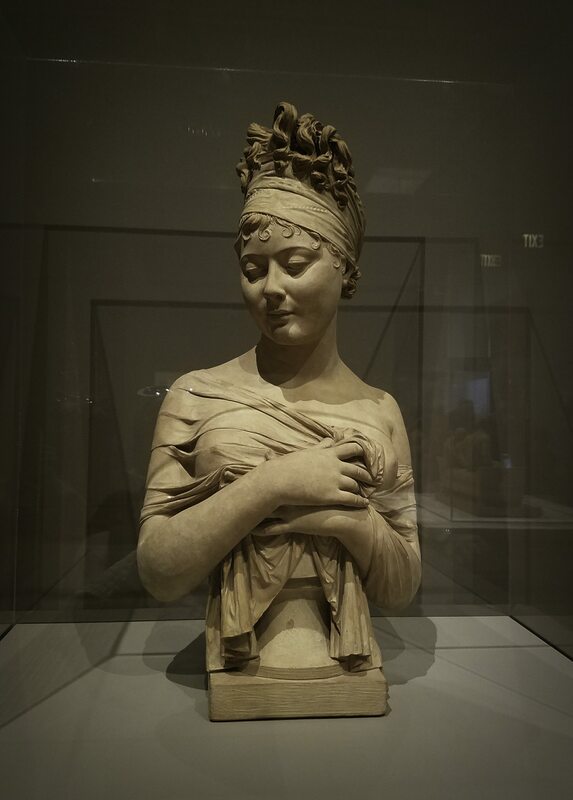 In this bust, her friend Chinard, a brilliant portraitist, enhanced her charming features by slightly tilting her head, paying attention to details such as her hair and including her arms and delicate hands.